The latest on the magical girl RPG. 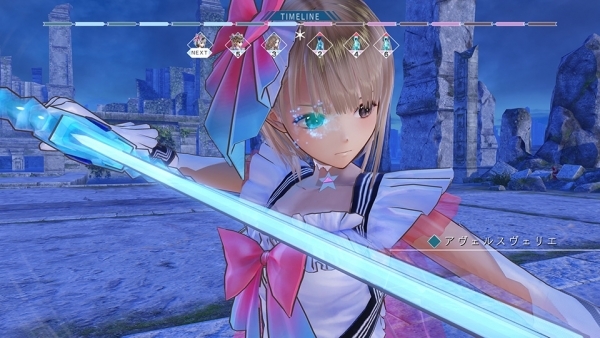 Gust has released new Blue Reflection: Sword of the Girl Who Dances in Illusions information and screenshots, detailing the growth system, characters Fumio Taya, Kaori Mitsui, and Rika Yoshimura, and more. Hinako and friends are Reflectors. Just how is it that these magical girls exist? 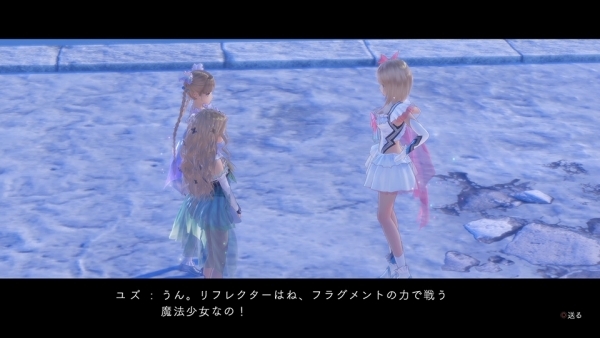 This section will provide an introduction to the secret of the magical girls alongside some in-game scenes. “Fragments,” pieces of human feelings, are the sources of a Reflector’s power. Among Reflectors, there are those that can “immobilize” Fragments and share power with their owner. 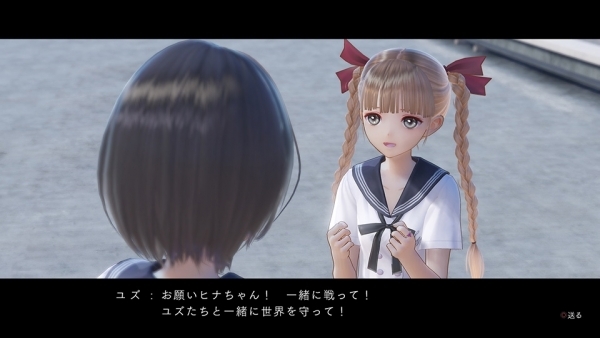 Hinako is exactly that, and can immobilize Fragments by understanding the feelings and thoughts transmitted from her ring. The worst outcome for those facing big troubles or problems can be fatal if their Fragment is surrounded by monsters and destroyed. It is the duty of a Reflector to protect those Fragments. If a Reflector is unable to immobilize a Fragment or does not have a ring, they cannot acquire its power. And it would seem that a significant amount of power is required in order to defeat powerful enemies like the Pure Breeds. You’ll uncover the reason why the Reflectors fight the Pure Breeds from in-game scenes. Enhancing the abilities of Hinako and the Reflectors is a must in order to defeat the Pure Breeds and other monsters. 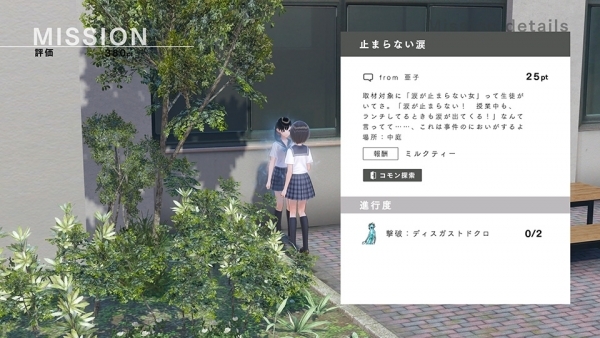 There are various missions, starting with the other students’ problems and requests, that offer “Growth Points” as a reward. By using Growth Points, you can level up the Reflectors to make them stronger and learn new skills. —The details of a mission and its rewards vary by mission. It is recommended you give priority to clearing missions that offer Growth Points as a reward. By clearing missions, there may also be times that you receive “Evaluation Points” separate from the reward. When you receive a certain amount of Evaluation Points, the story will progress, but as the story progresses, the opponents you face will become stronger. 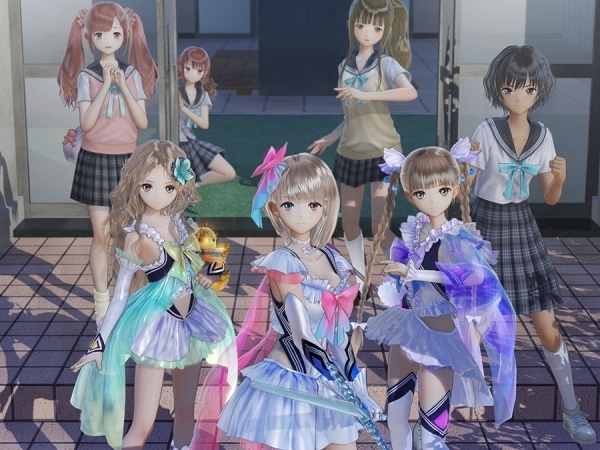 Be sure to do as many missions as possible to obtain Growth Points and power up Hinako and friends. —Missions are mainly divided into three categories: “Essential” missions related to the progress of the story, “Important” missions related to your interactions and friendships with the other students, and “Common Exploration” missions related to exploring the Other World. 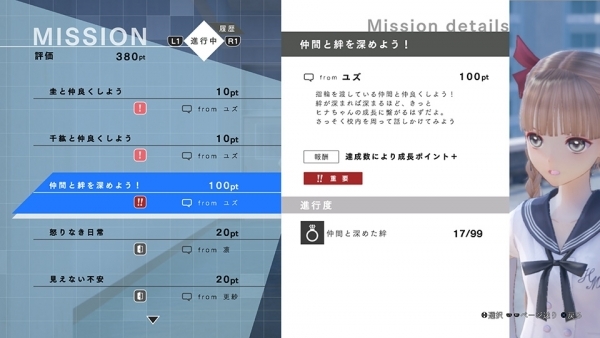 The Evaluation Points you receive differ for each mission. 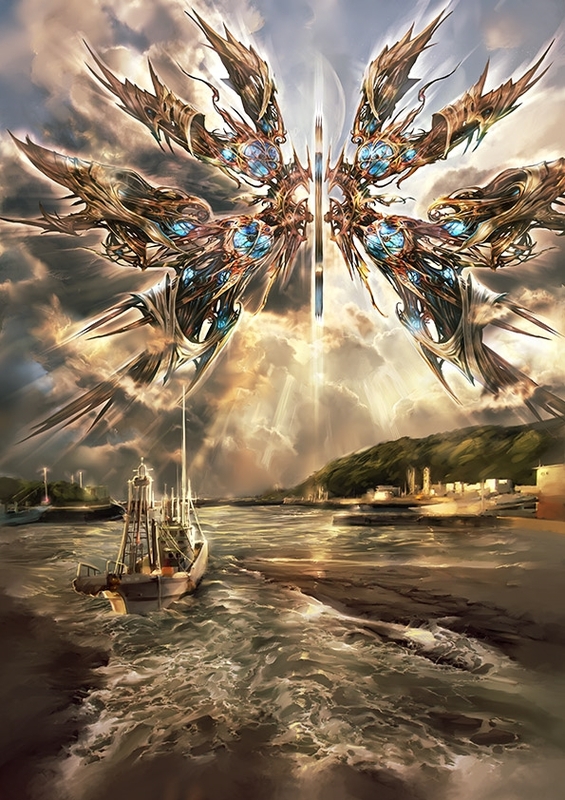 The Growth Points you receive can be distributed among four stats: “Attack,” “Defense,” “Support,” and “Technic.” The Reflector will level up each time you apply a Growth Point, and whether it’s Attack for attack power or Defense for defense power, each stat you apply a point to is strengthened. —Growth Points can be freely distributed among your stats. You can apply all of your points to Attack to specialize in attacking, or you can distribute them equally to be an all-purpose fighter. Develop your Reflector to match your own, personal play style! Growth Points have other benefits outside of enhancing abilities through leveling up. 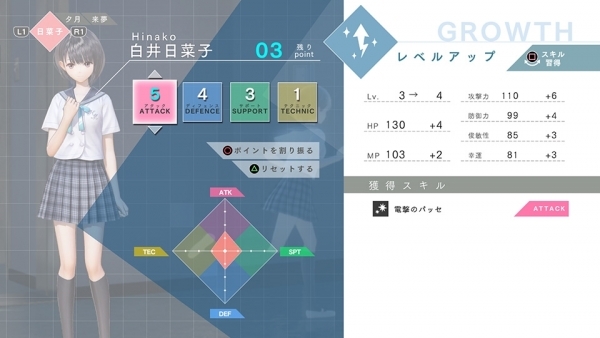 By distributing Growth Points to each stat up until certain values, you can also learn new skills. —The Growth Points necessary to acquire skills can be checked when applying points. If you want a specific skill, you can check which stats are required in order to acquire it faster. 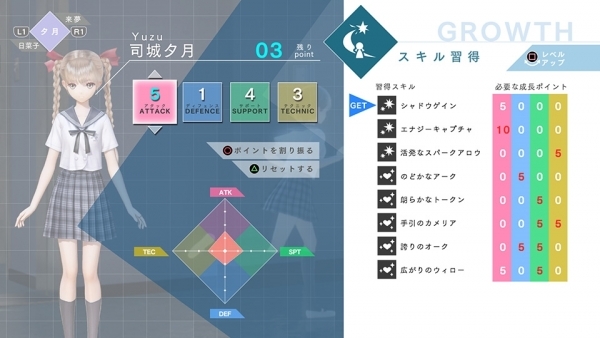 For example, the “Shadow Gain” skill requires five Attack points. By learning new skills, the breadth of your battle strategy will increase. Don’t forget to enhance your abilities when you acquire Growth Points! 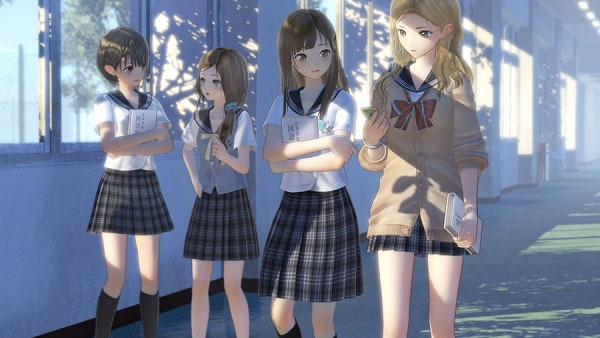 In order to resolve the other students’ troubles, Hinako and friends must search for “Fragments,” or pieces of human feelings. 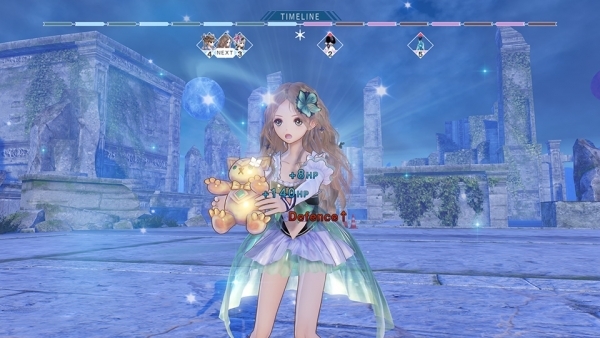 Equipping the Fragments you obtain to skills have various effects, but Fragments can also be enhanced to have even greater effects by using items. 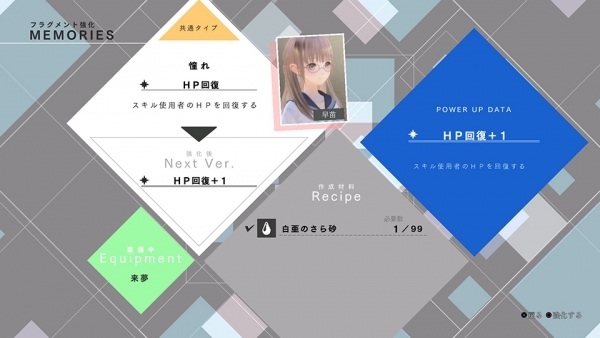 —By equipping an HP recovery Fragment or defense power-increasing Fragment to an HP recovery skill, it will become a more defense-specialized skill. Look for the combinations best suited to you! The items required to enhance Fragments differ for each Fragment. Depending on the Fragment, there may be a completely different effect, so be sure to consider which skill you might want to equip the Fragment to when enhancing it. 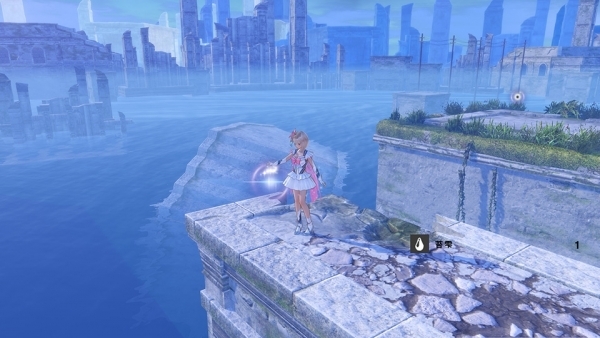 —Be sure to actively collect items in the Other World so you won’t run short when it comes to enhancing Fragments. 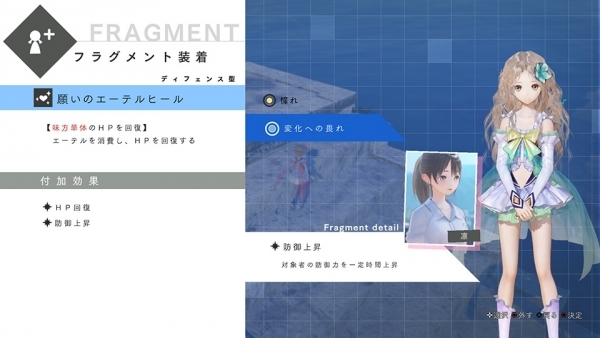 —You can check what effects a Fragment enhancement will have before carrying out the enhancement. Head into battle with your best skill and Fragment combinations! 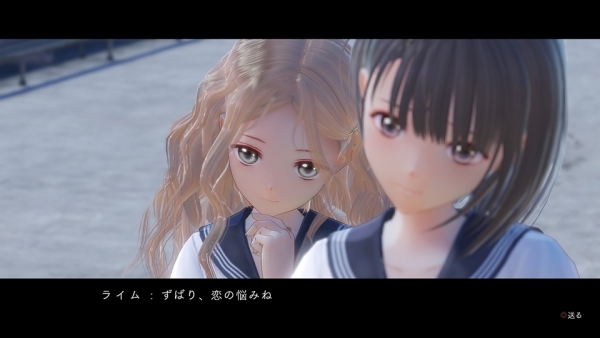 If all the Pure Breeds are defeated, your wish will come true—in order to dance ballet again, and in order to protect the world, Hinako and friends cooperate with their fellow students to stand against the Pure Breeds as they continue to appear. Hinako and friends keep on defeating and defeating them, but Pure Breeds continue to stand in their way. Believing in a future where the Pure Breeds are annihilated, the Reflectors take on these formidable foes. For some reason, Hinako ends up in a sports match with Kei Narimiya. And the sport chosen is swimming! —For the sake of the inactive Hinako, the meddling and disciplinary Kei challenges her to a sports match. The sport chosen is swimming since it doesn’t place too big a burden on Hinako’s foot. Hinako is fired up and stretches before the match with Kei, who says she is end the match if things get bad for Hinako. In what direction will this match go…? —During their shower after the match, Hinako agrees with Kei that it’s best to talk about sports. 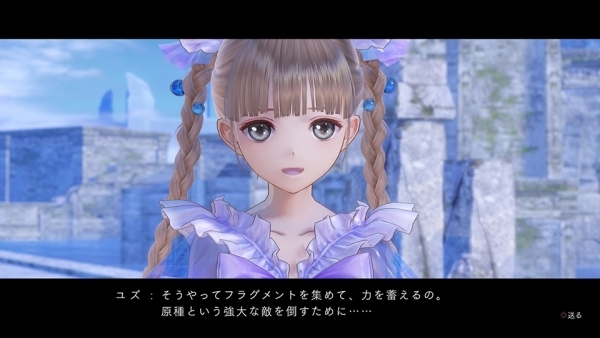 This section focuses on one of the game’s character episodes. —Raimu is able to tell that Rin’s down appearance comes from love troubles. 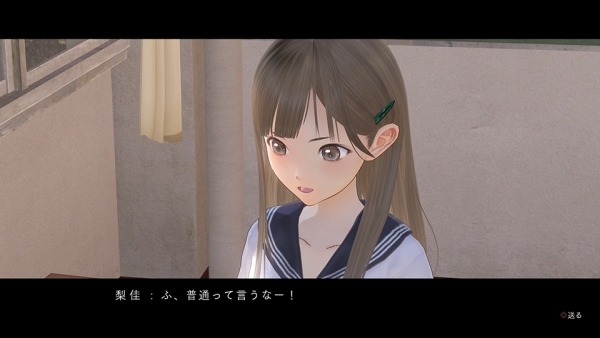 With a promise to keep it a secret, Rin shares her problem with Hinako and friends. —Hinako is at the limit of her patience with Rin, who doesn’t do as she is advised. At that time, something about Rin seems off and Rin emits a suspicious aura. An honor student with perfect pitch. She was brought up strictly by her grandmother, learning the piano from a young age, and even specializing in piano in high school. She has a habit of carelessly saying what’s on her mind. —Fumio will carelessly say what’s on her mind. In a sense, she is one-sided and and easy to associate with. 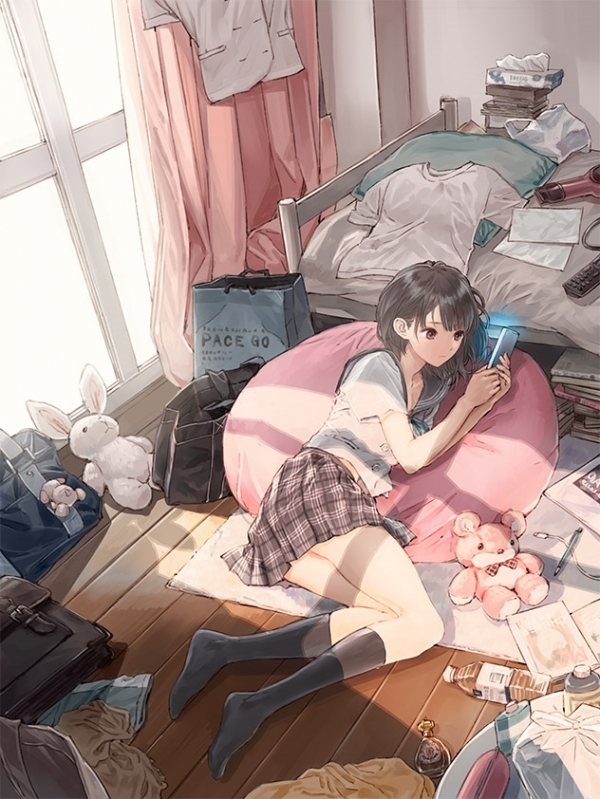 A girl who doesn’t devote herself much to anything, and lives loosely while sluggishly playing smartphone games and browsing Internet message board summary threads. 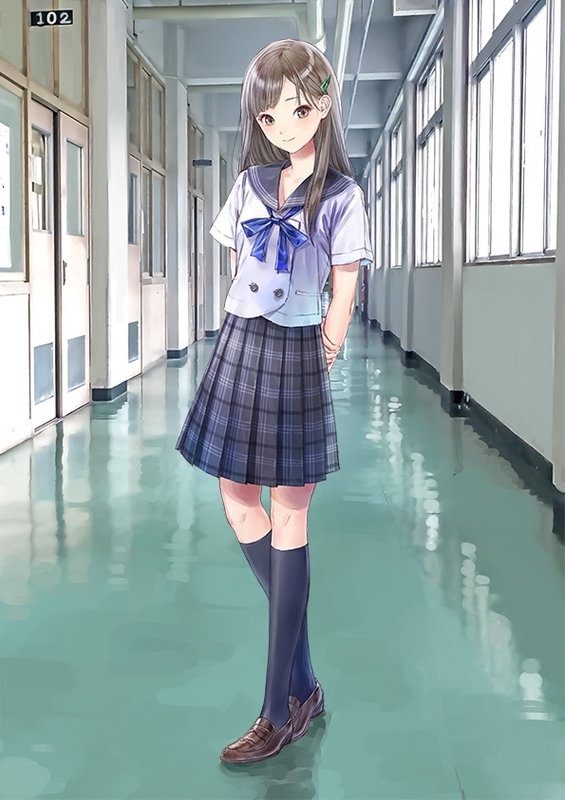 She tends to be considered a delinquent based on her flashy appearance, but is actually serious at her core, properly attending school every morning and showing up to class. 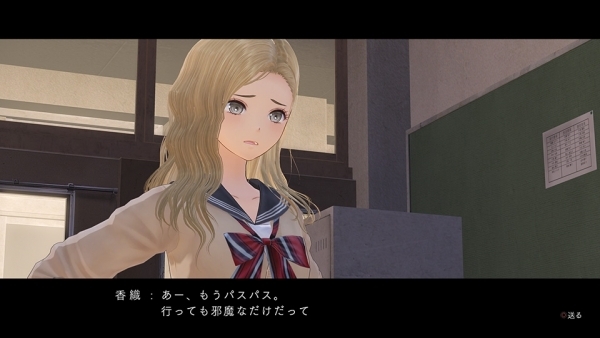 She was in the same track club as Rika in middle school, but has now stopped running. —Kaori is fed up with Rika persistently telling her to do track. A member of the track club. 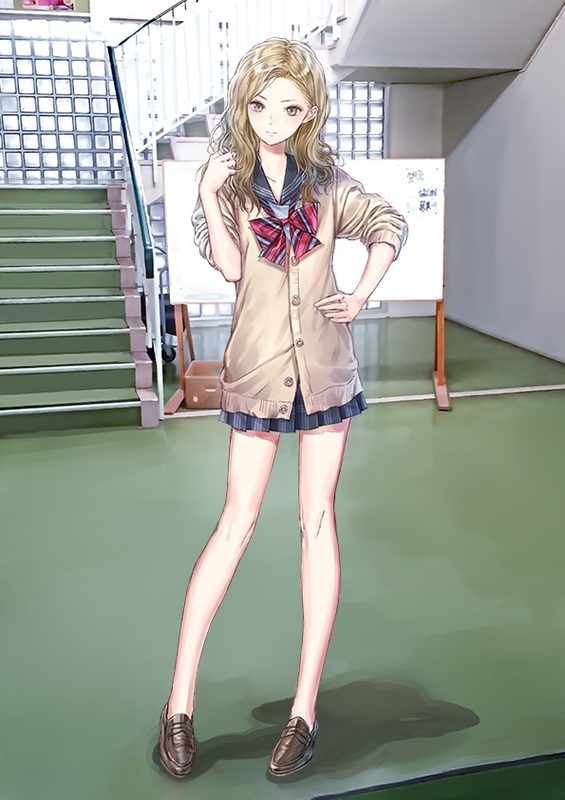 In middle school, she was in the same track club as Kaori. She’s not fast, but she loves running—the feeling of exhilaration it brings, the feeling of achievement when beating your previous record—so she enjoys it regardless of whether she wins or loses. 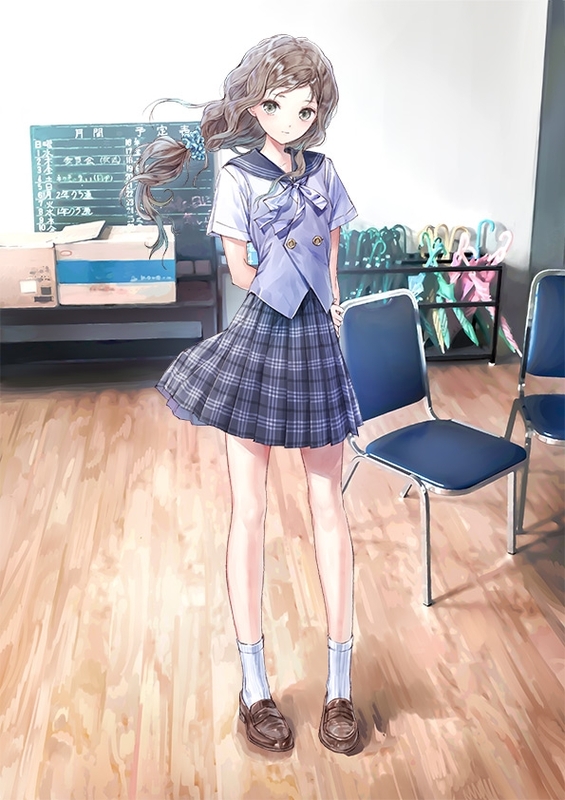 She is a normal high school girl susceptible to modern society who knows various things about the latest trends like fashion and music.